Mango // Pomegranate // Quince // Guava // Jasmine // Wild Rose | £8. 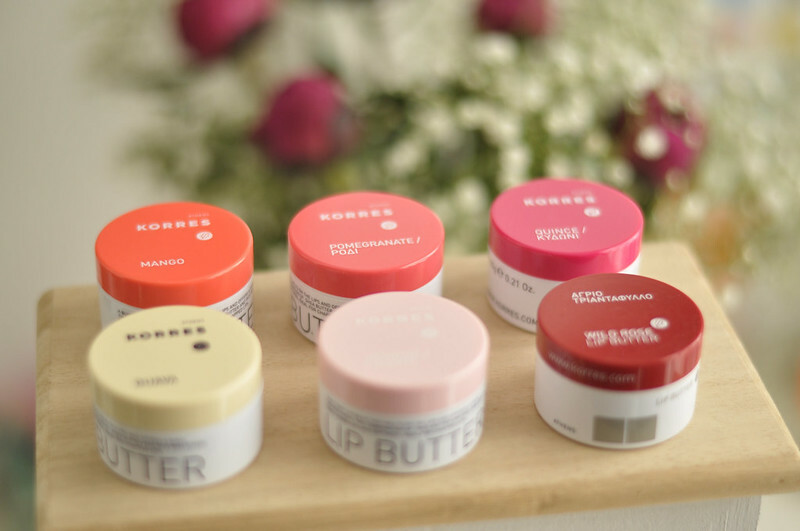 Over the past few years I've built up my collection of Korres Lip Butters and I finally completed the collection by ordering Mango, as raved about by Sophie. Intentionally I lined the six up in colour order but unintentionally I've actually placed them in the order I bought them. Mango is the lastest edition and Wild Rose was the one to start my obsession. Guava is the only one that doesn't leave a coloured tint to your lips so this is the one I reach for at night or during the day if I don't want to wear a lip colour. They're all incredibly moisturising and each colour has the same formula, there isn't one that is slightly drying. They also feel really light on your lips, almost like you're not wearing anything. On the lips Quince is more of a hint of raspberry unlike the bright pink it looks like in the pot and Pomegranate is more of a my lips but better colour. I can tell Mango is going to be my favourite over the next few months as it gives a subtle tint of orange/coral as I can't always pull off bright orange lips. Wild Rose is my go to in Autumn and Winter, especially when I need something a bit more moisturising than your average lipstick. I believe there is a plum lip butter but I am yet to find this available in the UK. If you know where I can buy it then please let me know! I adore lip balms and im yet to try any of the Korres ones even though ive been desperate to try them for ages! I managed to pick up Plum while I was in Greece last year, it's gorge! 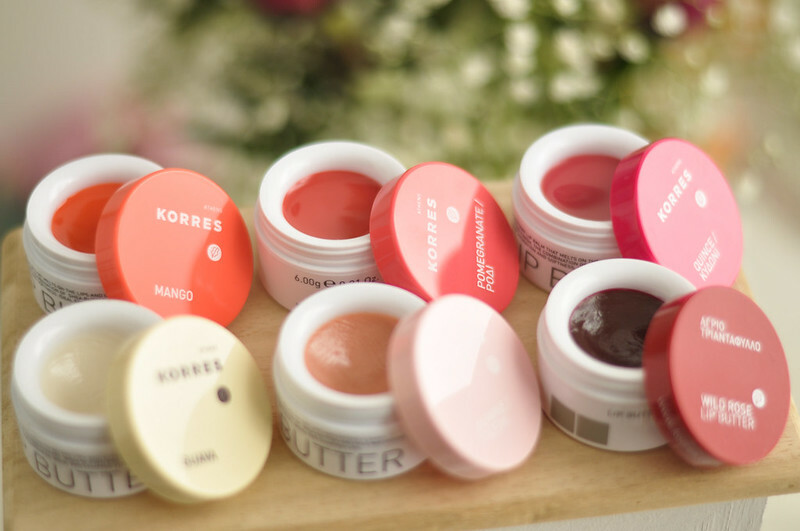 Love Korres lip butters because they give you moisture and a bit of colour! Not sure where to get Plum from other than Amazon and it's massively overpriced on there! Is it bad I want one of these just because I like the little pot?